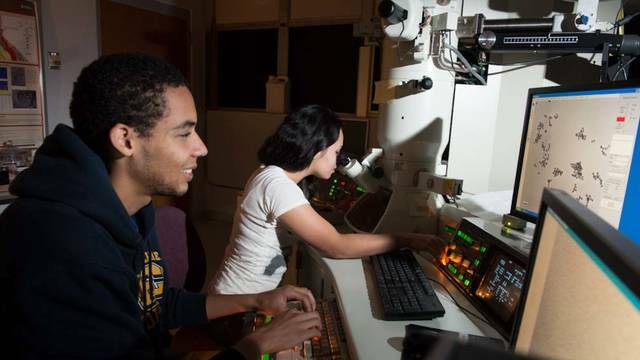 This federal program is named after American astronaut Ronald McNair, and it is designed to break down socioeconomic and racial barriers to students interested in pursing post-graduate education. The hope is to diversify the pool of students pursuing PhD's, increasing numbers of students from underrepresented demographics. This includes first-generation and low-income college students, as well as students from racial and ethnic groups historically underrepresented in graduate programs throughout the U.S.
Why become a McNair Scholar? 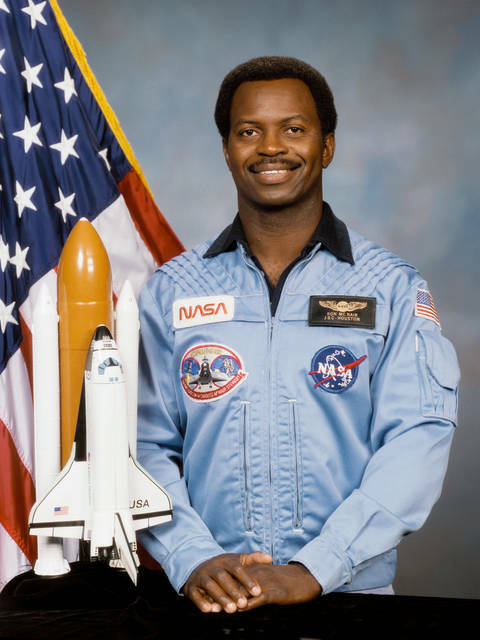 Ronald E. McNair, a NASA astronaut lost in the Challenger shuttle tragedy of 1986, was the first in his family to graduate from college and received a PhD in physics from MIT in '76. The Ronald E. McNair program provides exclusive access to research and scholarship opportunities that can be life-changing. From direct and indirect funding for tuition, research stipend, travel and presentation opportunities and much more, participation in this program equips participants with a wide array of research, graduate school and employment possibilities. Federal TRIO grant criteria require that participants be a U.S. citizen or permanent resident, be 150% below federal poverty, and be a first-generation college student in your family OR must be from a traditionally underrepresented group: Black (non-Hispanic), Hispanic, American Indian/Alaskan Native, Native Hawaiians and other Pacific Islanders. 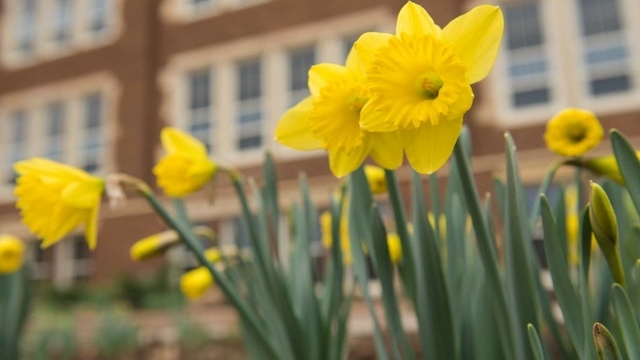 UW-Eau Claire criteria are that a student must have potential for or a desire to pursue a graduate program, must be nominated by a UW-Eau Claire faculty or academic staff member, and must have a minimum sophomore GPA of 2.75. 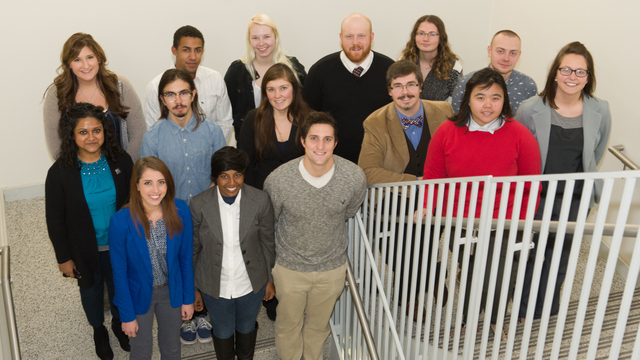 Find out a little more about our current cohort of McNair Scholars, their majors, hometowns and research interests. You may find you have a lot more in common with these high-aiming students than you thought you would. Dr. Matt Evans, professor of physics and astronomy, will serve as interim director of the Ronald E. McNair Postbaccalaureate Achievement Program during the 2017-18 academic year. Megan Schilling, a psychology major, is looking forward to putting her research skills to use when she begins graduate school. She credits the McNair Program for making it possible for her to engage in meaningful research as an undergraduate student. 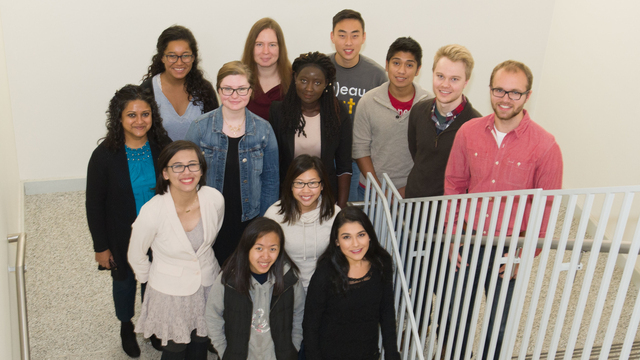 The McNair Scholars Research Symposium 2016 showcased the research of more than a dozen undergraduate students in the Ojibwe Ballroom of Davies Center. Nine UW-Eau Claire students have been selected to participate in the prestigious Ronald E. McNair Postbaccalaureate Achievement Program.